Learn how to carbonate your own homemade root beer, ginger beer, or almost any fruit juice or syrup flavored beverages right in your own kitchen by following the simple instructions below. All the secrets of soft drink carbonation and how to and stabilize the carbonation level in five easy steps. Follow the old fashioned recipes to make the flavored mixture and make sure that the sugar is completely dissolved in the heated liquid. If the mixture has to sit for any length of time before the yeast is added, cover it with a sanitized lid or aluminum foil to prevent contamination by airborne yeasts. You might want to adjust the quantities in some recipes to make smaller amounts. Anywhere from 1 to 5 gallons may be made at a time, but since refrigerated storage beyond 3 weeks to a month is not recommended, because of the ability of the yeast to develop higher levels of alcohol, make only what you can realistically consume. For the novice brewer still learning how to carbonate, dried yeast that comes in small individual packages is the easiest to store and use. Prepare the yeast and stir it thoroughly into the flavored mixture. If the mixture has been heated to dissolve the sugar, add the yeast after the mixture has cooled to lukewarm. Some brewers say yeast performs best around 70°F (21°C). To insure a healthy fermentation, hydrate or prepare your dry yeast before pitching it into your mixture. Prepare (hydrate) or "proof" the yeast by adding it to 1/4 cup of lukewarm water, not over 80°F (27°C), then cover the cup with a sterilized saucer to prevent airborne yeast from entering and let it sit. After about 5 minutes, stir the yeast mixture to prevent clumping and then allow the yeast to proof for an additional 15 to 20 minutes. Always delay proofing your yeast until your mixture is almost ready to bottle. Proofing more than half an hour could make the yeast sluggish. If the mixture has been heated, confirm that it has cooled to a lukewarm temperature (no higher than 80°F or 27°C) before you pitch your yeast into the mixture. If the mixture is too hot, you will kill the yeast resulting in no carbonation, so be sure the temperature is low enough. Always stir the proofed yeast to remove any clumps before you pour it into the mixture. IMPORTANT: Do not use the quantity of yeast called for in the old fashioned recipes. Remember, these are nineteenth-century recipes. The yeasts available then were not as good as those we have available today, as yeast quality has improved dramatically in recent years. Using too much yeast will lead to over carbonation and a strong yeasty taste. Only use about 1/8 to 1/4 teaspoonful of dried yeast for each recipe despite what the recipe calls for — no more than 1/2 teaspoonful. But, as each recipe is different, you may have to experiment to determine the correct amount of yeast to use. "Experiment" is the word to remember when you're learning how to carbonate and making homemade soft drinks. Within 10 minutes of stirring your prepared yeast into the mixture, begin to pour and strain the mixture into your clean, sanitized bottles, filling them to within 1 inch of the top, and then tightly cap the bottles. Occasionally stir the mixture while bottling to ensure the yeast is evenly distributed, and try to pour the mixture steadily without splashing, as increasing the oxygen levels can influence the fermentation. The use of a kitchen funnel may help. It is also a good idea to place the bottles to be filled in an empty saucepan to catch any overflow and prevent a mess. The mixture will properly ferment and produce the necessary carbon dioxide bubbles while in the capped bottle. The preferable fill level is about 1 inch from the rim of the bottle and this holds true for all bottle sizes. Overfilled bottles tend to be under-carbonated and underfilled bottles tend to be over-carbonated. The one inch of air space in the bottle allows enough room for the carbon dioxide to expand and create a proper seal in your bottles. Apply this rule to all bottles whether they are made of glass or plastic. If you would like to add a touch of pizzazz to your bottled beverage, you can stir a few drops of food coloring into the mixture right before bottling. The food coloring will improve its appearance as some natural ingredients may cause the beverage to appear muddy or murky looking. Experiment by using different colors to give your soda pops a unique and appealing appearance. After you've finished bottling, thoroughly clean all the used equipment and utensils, dry them well on a rack, and store them dust-free in a box until their next use. IMPORTANT: Once you stir the proofed yeast into the flavored mixture, do not allow the mixture to ferment for the length of time called for in the old fashioned recipes. Bottle the mixture IMMEDIATELY to discourage the development of alcohol. Again, remember that these are nineteenth-century recipes using nineteenth-century yeasts. Allow the capped bottles time to carbonate by letting them sit upright inside a closed cardboard box at room temperature, ideally around 65°F to 68°F (18°C to 20°C), for 3 to 4 days, but usually never longer. During this time, it is best to keep the bottles in a dark place not close to bright light source. If carbonation is not achieved in 3 days, you may expose the bottles briefly to sunlight until it is achieved. Be sure to check the bottles periodically. While carefully holding them upright, and without shaking or jarring them, look for the telltale fermentation bubbles. The appearance of bubbles indicates that the beverage is carbonated. You may see the bubbles easier if you hold the bottle up to the light. The first time you do this you may have to open one of the bottles to verify the extent of carbonation. With practice, you will soon be able to judge when the beverage is properly carbonated. If you are using plastic bottles, you can easily tell the degree of fermentation by their expansion to firmness. Carefully squeeze the plastic bottle and if it feels firm and quite hard, it is properly carbonated. Do NOT allow your beverages to over-ferment. For those learning how to carbonate, it's always tempting to let the fermentation process go on too long. When the degree of carbonation appears to be right, immediately place the bottles into the refrigerator to halt the fermentation process. Allow them to sit upright in the refrigerator for at least a day or two to “ripen” and improve in taste. If your refrigerator is large enough, you can simply place the closed cardboard box containing the soda pop right inside the refrigerator. Or, place the bottle within a plastic bag. This is recommended, as it will save you from having to clean out the refrigerator if a bottle explodes or pops its cap while ripening. Do not leave the bottles in a non-refrigerated condition after carbonation has been achieved since the fermentation process will continue, resulting in higher levels of alcohol, and the very real possibility that the bottles may eventually explode. IMPORTANT: Because homemade beverages do not contain the preservatives found in most commercial products, they cannot be kept for the same length of time without spoiling. 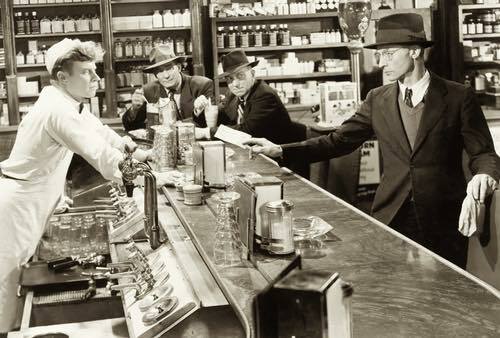 Usually, soda pop should not be kept for longer than 3 or 4 weeks, and it is best drunk within a week or two when it's at its peak of perfection — it's so good, this should not present a problem! Yes, I know I said there were only five steps in learning how to carbonate beverages, but you need to do one more thing if you want to make consistently good soda pop. The extra few minutes of time it takes will more than repay your efforts. What could be considered the final step is to evaluate the results of your efforts in a simple notebook or journal. If you faithfully do this, you'll know how to carbonate to obtain consistent results every time. Keep descriptive notes on everything you do with each batch of soda pop you make, especially if you make any changes to the recipe's ingredients or procedures. If you do this, you'll be able to reproduce the batch with similar results or modify the recipe later to suit your preferred taste. Carefully pour the finished, chilled soda pop into a clear glass and evaluate it. Notice the bubbles, the color, the aroma, and the taste. How was it? Was it sensational? Or just okay? How could it be improved the next time? It is also important to note the reactions of your friends, but be aware that others may have strong preferences. 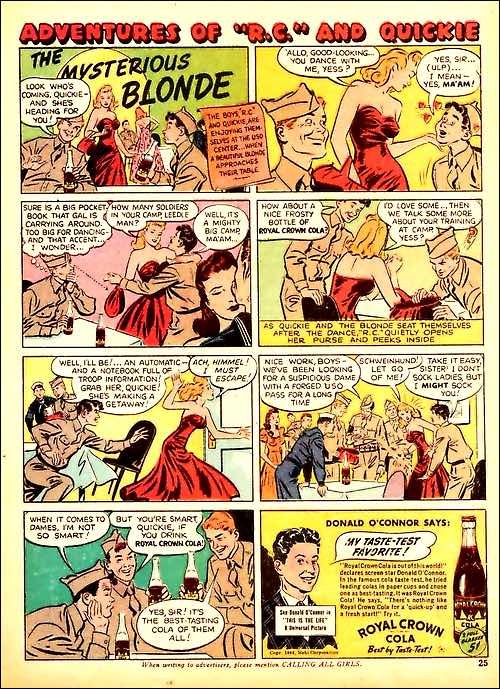 Remember those tiresome Coke® versus Pepsi® ads? There will always be someone who will prefer one beverage taste over another. Record the results in your notebook along with any recommendations for future batches. And be sure to record the failures too; it is very easy to forget a mistake and its causes. In no time at all, you'll become skilled at soft drink carbonation and a true connoisseur of soda pop. You'll know how to carbonate almost any flavored drink and enjoy discovering your personal favorites. Fentimans is a commercial bottler based in Northumberland, United Kingdom. They are one of the few remaining brands that naturally brews its soft drinks, employing a traditional 7-day brewing and fermentation process. 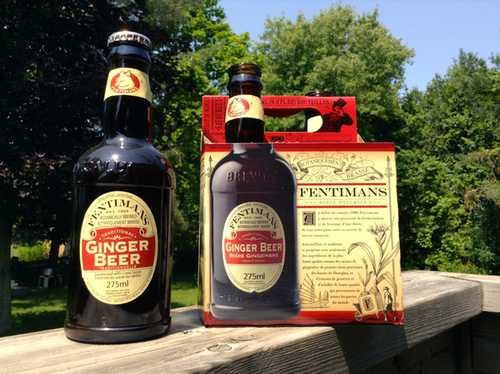 Fentimans brand "Botanically Brewed" ginger beer and colas are available for purchase in the U.K., and at some North American supermarkets.